This is the second of two volumes on the Sung Dynasty, which together provide a comprehensive history of China from the fall of the T'ang Dynasty in 907 to the Mongol conquest of the Southern Sung in 1279. 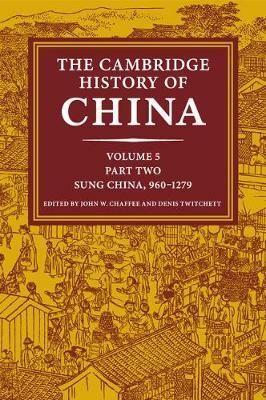 With contributions from leading historians in the field, Volume 5, Part Two paints a complex portrait of a dynasty beset by problems and contradictions, but one which, despite its military and geopolitical weakness, was nevertheless economically powerful, culturally brilliant, socially fluid and the most populous of any empire in global history to that point. In this much anticipated addition to the series, the authors survey key themes across ten chapters, including government, economy, society, religion, and thought to provide an authoritative and topical treatment of a profound and significant period in Chinese history.